What are the advantages of Leaflet Marketing? Running a successful marketing campaign can help your business grow. It can be quite daunting to decide which methods of marketing to use. Traditional print marketing, such as leaflet marketing, can deliver excellent results. You would be forgiven for thinking print marketing was no longer relevant in the digital world we live in. You may feel it would be better spending your marketing budget on digital platforms. These include social media, Google AdWords or email marketing. Digital marketing is great, but you can’t replicate the advantages of print marketing. It is hard to match the effectiveness of leaflet marketing in digital mediums. 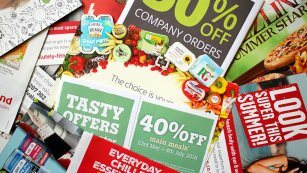 Let’s take a look at some of the biggest advantages of leaflet marketing. When designed and executed well, leaflets can be informative and eye-catching. Nothing stands out like a well-designed, glossy leaflet that communicates your key messages. One of the main benefits of leaflet marketing is the ability to use images and eye-catching typography. That capability is not always supported by digital mediums such as Google AdWords. Digital mediums are often restricted by word count and image space. Leaflets can be designed with as much text as you need and several images. A leaflet gives lots of space to communicate your messages. You can catch the attention of your target audience without having to leave anything out. You should create unique calls to action or special offers for your leaflet marketing campaign. This will help you track and measure the success of your campaign. It is important to keep track of the number of people that take your unique call to action or special offer. As with any marketing campaign tracking your campaigns will help you understand what is working and what is not. Leaflet marketing is more cost-effective than you may think. Leaflet distribution is also inexpensive. It can be done for a small budget or, in some cases for free, via stands or door-to-door distribution. Tangibility and longevity are two important factors of leaflet marketing. They cannot be replicated in the digital world. You cannot replace the glossy look, silky feel or smell of a piece of printed literature digitally. While digital adverts can be eye-catching, you can’t beat the feeling of holding a glossy leaflet. Another benefit of leaflets is their long life. They are often kept for several weeks or months after they have been received. Your target audience is likely to read your leaflet more than once and may even pass it on to friends or family. We understand good design achieves the perfect balance between colour, typography, and images. A brochure, catalogue, leaflet can make a great first impression – when it is also printed well. We have a long history of designing for print. We also provide a printing service to ensure the print quality is as good as the design. Got any questions about leaflet design or leaflet printing? Speak to Blackberry Design to see what we could do for your business. Get in touch on 01527 517309 or fill in our contact form.